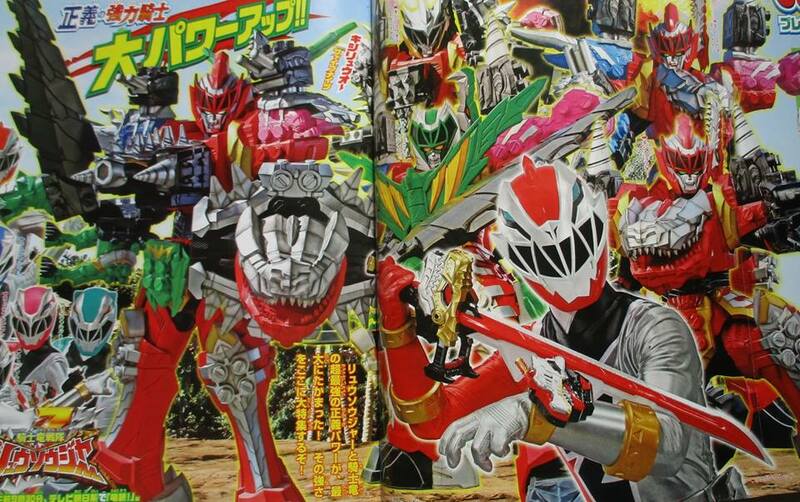 Kishiryu Sentai Ryusoulger - Introducing Kishiryu-Oh Five Knights! 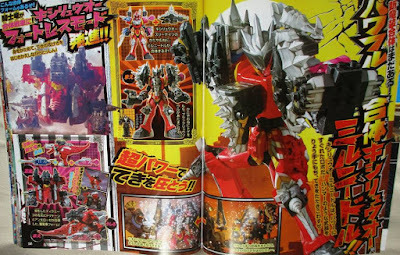 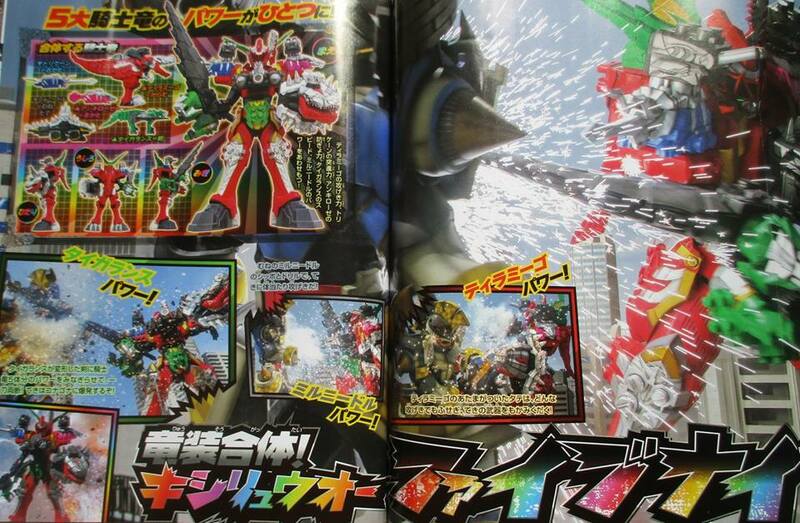 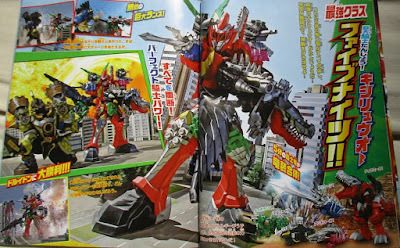 Check-out this newest Kishiryu Sentai Ryusoulger scans from the latest issue of Televi-Kun and Televi Magazine featuring more of Kishiryu-Oh's newest combinations! 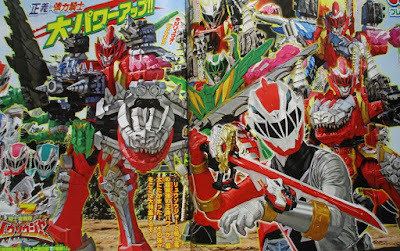 When more firepower to defeat a Minosaur is needed, the five brave dino knights will combine all of their core Kishiryu to form Kishiryu-Oh Five Knights! Also, before the Ryusoulgers unleash the full might of Kishiryu-Oh Five Knights, Koh and Banba will work together and form Kishiryu-Oh Milneedle! 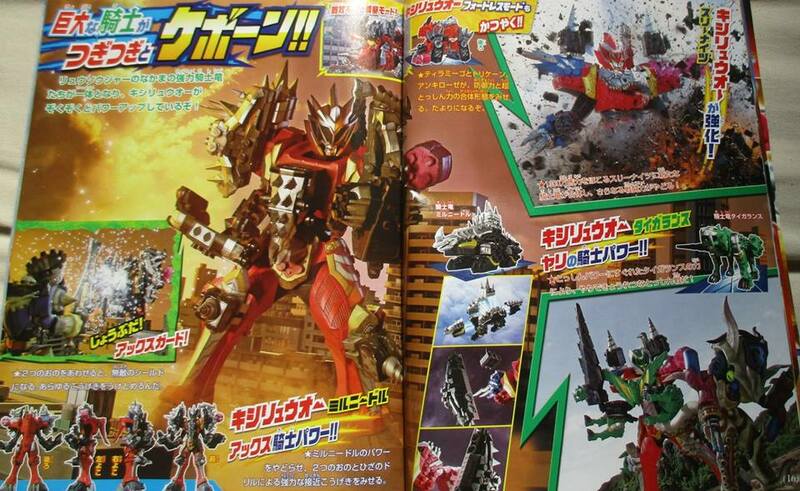 Plus, in memory of the Dino Tanker from Zyuranger, Tyramigo Triken and Ankyloze will combine to form the Kishiryu-Oh Fortress mode!